This beautiful marble kitten has earned the nickname Precious Peach because of her soft fuzzy peach like fur and sweet little face! She has a very warm personality and she loves to follow me and sit in my lap. Her pattern is starting to open up and you can begin to see the intricate detail within her marbling. She will change quite a bit over the first year as she grows and her pattern spreads out with more light areas within her darker outlined pattern emerge. 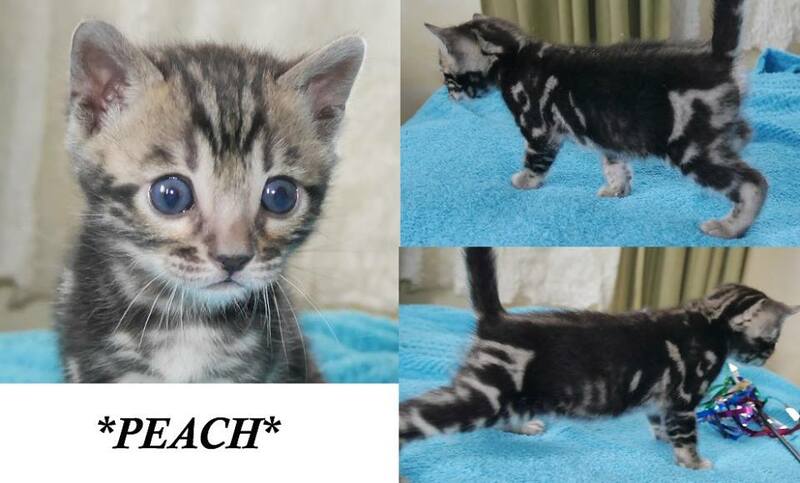 Part of our Finding Nemo themed litter, Peach gets her name from the pink-red starfish, who can apparently read human. When she is in the movie, she is generally attached to the side of the tank. While watching the different patients, she will announce what operation is being performed, and with which tools, to the other fish of the Tank Gang. Often while speaking, however, her voice is muffled against the glass one of the other fish would say, “Can’t hear you, Peach” to which she then unsticks herself from the glass and repeat what was said. When Darla is pounding on the glass, she accidentally falls off. Peach at 9 weeks, playing with toys & being cute! 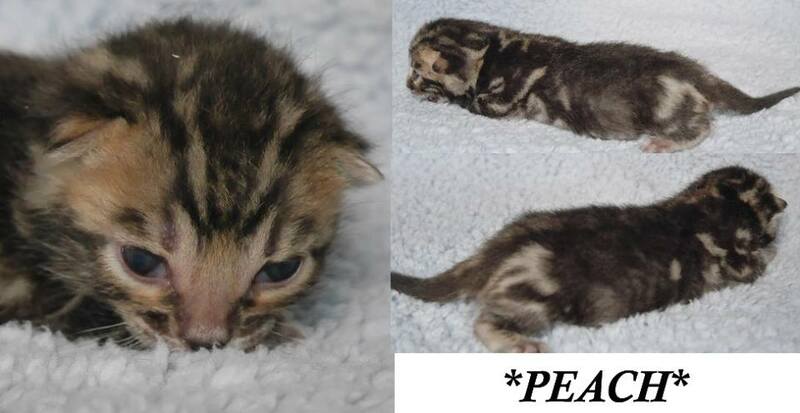 This entry was posted in Bengal Kitten Gallery and tagged brown marble bengal kitten, Peach. Bookmark the permalink.